Autumn is Garage Season too! 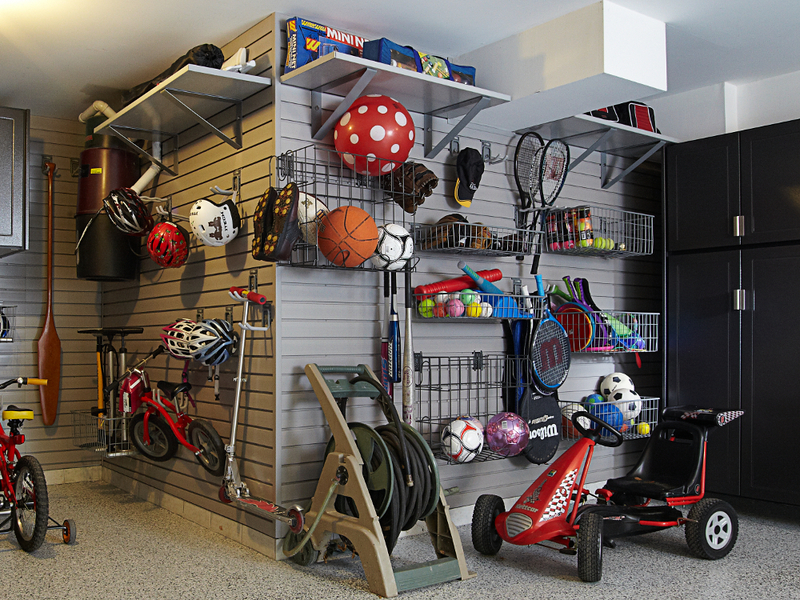 We often think of Spring as the time of year to focus on the Garage, as it’s when you start spending more time outside, and many of the things associated with the outdoors – gardening tools, sporting goods and bicycles – get stored in the Garage. Well, it follows then that as the weather cools, things start going away to nest for the winter (not to mention that soon it will be time to deal with snow shovels – yes, I know). We’re working at the moment on a couple of garage projects that we hope to share with you all soon. There was a great article that made the newspapers this week with some fantastic tips to help you get your garage ready for the seasonal change. Even before considering what sort of system may be best for you, it’s a great idea to sort and purge what’s in there – no sense in organizing something you don’t need to keep – and sorting and grouping your things will make it that much easier to plan your next step. Maintain. Having the tools of organization is only useful to you if you actually use them. Designate homes for things, and be sure to house things where they go. It can be a challenge training you family to do so, but you’ll be glad you did! Space Solutions, of course, offers a wide range of solutions for Garages. Visit the Garage Page to see some of the many systems we work with, and please revisit this post to see a completed Space Solutions Garage Solution, including a video.